A Fan Blog in connection with TwinsBaseball.com. (*) The Official Twitter account of the Minnesota Twins was all over the Metrodome grounds taking pictures of Joe Mauer, Justin Morneau, the newest Twin, Jim Thome, the picture of Denard Span above, and much more. The line for Joe Mauer’s autograph started outside the Metrodome at 8 a.m. Friday. He was eight hours from signing, and the temperature was minus-4. 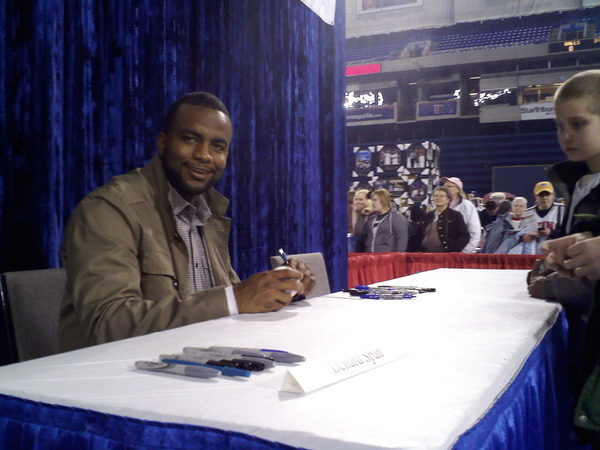 TwinsFest 2010 will resume on Saturday at 9 a.m. and will wrap up with a third day on Sunday. No Joe Mauer signing is expected this weekend, but the annual event will help get baseball back in the news nonetheless.